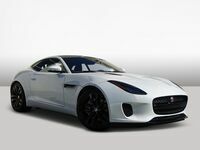 The Jaguar F-TYPE is one of the most desirable sports cars in the market, and with the 2017 F-TYPE SVR, Jaguar has created the fastest F-TYPE ever. With its exceptional performance, robust engine options and confident handing, the all-new F-TYPE delivers a spectacular driving experience. If you're wondering how the F-TYPE SVR measures up against the high-performance luxury sports car competition, then check out this 2017 Jaguar F-TYPE SVR vs 2017 Porsche 911 Turbo comparison. The F-TYPE SVR offers the ultimate in performance and driver reward, especially with the latest evolution of Jaguar's 5.0-liter supercharged V8. 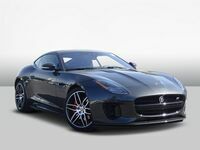 Changes to the engine's calibration — adopted from the F-TYPE Project 7 — deliver power and torque ratings of 575 hp and 700 lb-ft. In comparison, the 3.8 L 6-cylinder engine in the Porsche 911 Turbo only gets 530 hp and 486 lb-ft of torque. 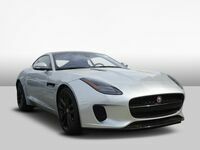 Further enhancing the performance of the F-TYPE SVR is a lighter, stiffer and more precise chassis, advanced electric power-assisted steering system, aerodynamic design and Carbon Ceramic Matrix Braking System. 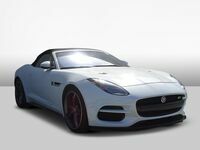 The all-weather F-TYPE SVR can reach a top speed of 200 mph for the coupe model and 195 mph for the convertible. It can accelerate from 0-60 mph in just 3.5 seconds. Compared to the 911 Turbo, the F-TYPE SVR offers much value, for even though it has an MSRP that's over $33,000 lower than the 911 Turbo, it's loaded with loaded with state-of-the-art features, in addition to the aforementioned higher performance numbers. The F-TYPE SVR's InControl Touch and available InControl Touch Plus infotainment systems feature eight-inch capacitive touchscreens, intuitive user interfaces and crisp, clear 3D map displays and offer 380W Meridian and 770W Meridian surround sound audio systems respectively. Also, the F-TYPE SVR's InControl Remote app for smartphones comes with a companion app developed for the Apple Watch. Using this device, drivers can lock and unlock the doors, check key information such as fuel level or mileage and locate the car on a map. With the F-TYPE SVR's luxurious and comfortable interior, every trip is a VIP experience. The cabin includes cosseting 14-way SVR Performance seats finished in Jet Black leather with a distinctive Lozenge Quilt pattern, contrast stitching and micro-piping and headrests embossed with the SVR logo. The F-TYPE SVR's steering wheel comes in Jet Black leather or optional suedecloth with black painted spoke outers and contrast stitching in a range of four colors. Also, the uniquely-styled aluminum shift paddles are larger than those in other F-TYPE models to make changing gears even more instinctive. 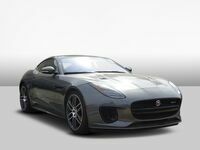 If you're a sports car shopper in the San Antonio-area and would like to learn more about the high-performance 2017 Jaguar F-TYPE SVR or want to take one for a test drive, then be sure to get in touch with us at Barrett Jaguar.